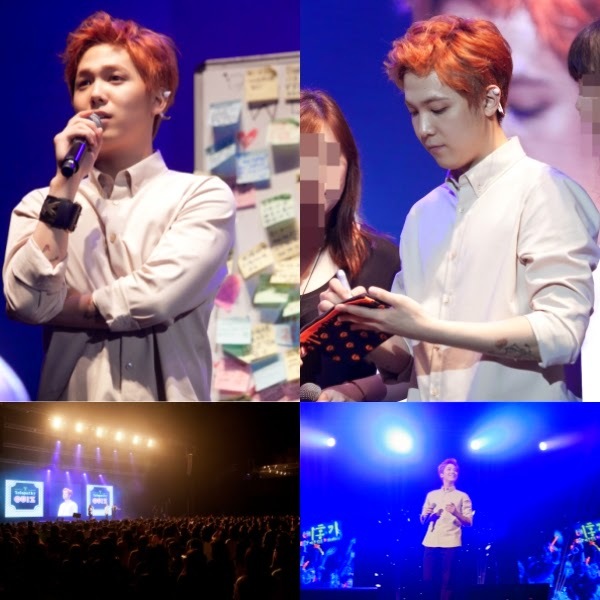 FT Island's Lee Hongki has successfully finished his fan meeting event in Hong Kong. On June 28, the singer held his first ever individual fan meeting event at the Star Hall in Hong Kong. At the event, Lee Hongki performed a total of 5 songs including his drama OSTs, electrifying fans. Lee Hongki also gave signed pouch to the fans who gave correct answer to a quiz. He recently launched his own fashion brand 'Skull Hong', and the pouch was the product of the brand. Lee Hongki stated, "It is the first time for me to hold fan meeting event without other FT Island members. I was really worried about the event, but it's so happy to see so many fans here. I think the night view of Hong Kong is amazing. I will visit the city again with the FT Island members." Meanwhile, Lee Hongki will hold his fan meeting events in Taiwan on June 29 and in Singapore on July 19.